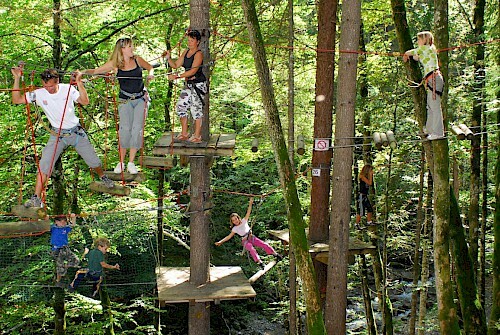 If you are thinking of bringing your family out to Morzine this summer, there are loads of activities and adventures you can seek out! 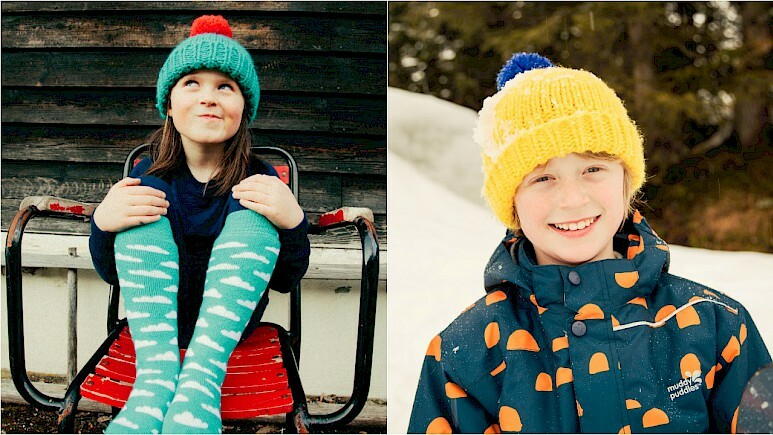 We caught up with Mountain Mavericks very own little experts on what they love to do in Morzine over the summer! High in the trees lies the Indiana tree top adventure course. With 3 different ability courses, the tree top adventure will have you swinging through the trees like a monkey, testing your balance on the ropes and zooming down the zip lines at high speeds. The park ensures there is something for all ages ensuring that this is a great activity for all round family fun! Coming top of Lola’s list is horse riding. 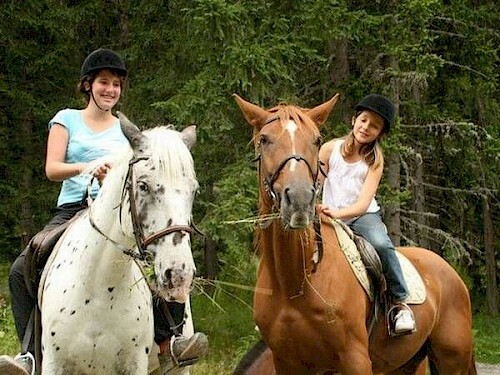 The Morzine equestrian center is situated down at the Parc Des Dereches. Run by Claire Pérot and her team the center boasts 2 arenas for showjumping and dressage and offers great pony treks for kids through the woods! 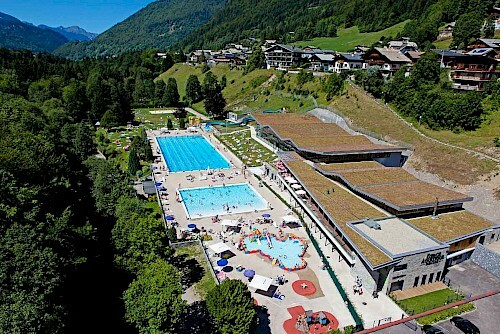 Morzine’s swimming center offers some great facilities for all weather conditions. Boasting an Olympic sized heated pool outdoors alongside water slides, water games, a bouncy castle, a beach volleyball court and relaxation areas both inside and outside you could spend a whole day chilling by the pool with the family! 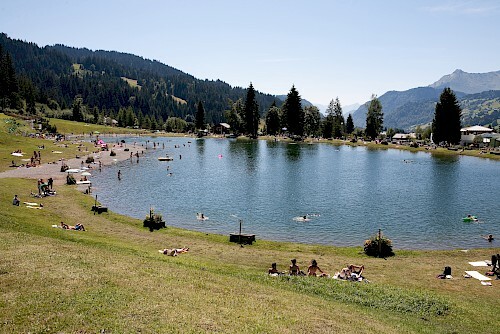 Not something you would expect to hear about up in mountains but you can actually head to the ‘beach’ in Les Gets. Set back on a little winding road on the way to Les Gets from Morzine, the Les Gets lake can sometimes be overlooked. However with its grassy banks, waterslide, volleyball, adventure climbing center and local restaurants serving typical French lunch menus you could never get bored spending a day here! Top of Luc’s list has to be the Skatepark! Situated under Morzine’s bridge next to the tennis courts and Morzine swimming pools, the skatepark is a great spot for people to get on boards, bikes and scooters and have a cruise around. The skate park features various quarters, transitions, rails, hips and practice areas to suit all levels of rider, including a great spot for beginners and first timers. 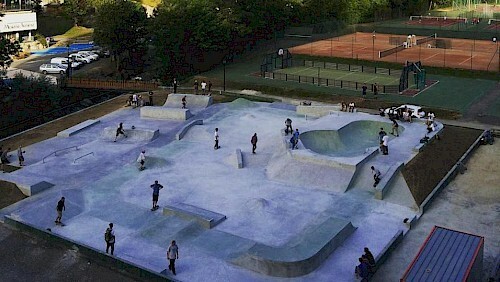 Check out the interview we did with Stew Monk on the build of the new park. Next: Super Morzine Opens Early for Summer 2017!